An Amble woman has changed her career, and opened her new business in the very building where she grew up. Joanne Penrose left a 28 year career of nursing to open up a dog grooming salon and says she is loving every minute. Paw Perfection, on the corner of Church Street and Wellwood Street, opened in December, and the business has already seen over 250 customers in the first three months. 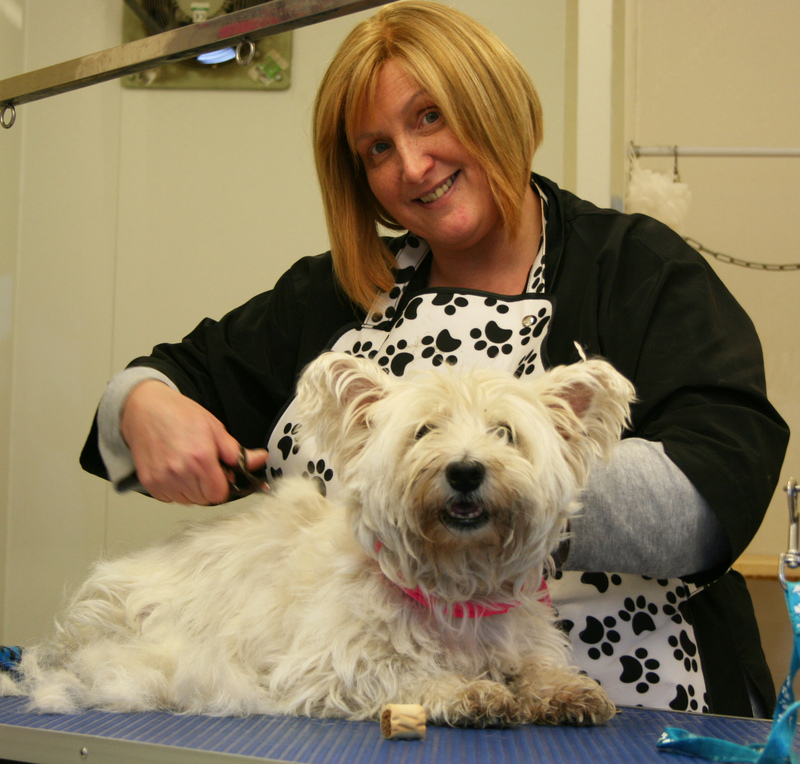 Joanne gained her City & Guilds in Dog Grooming at Kirkley Hall, and then found that the building in which she had grown up – and which had previously been run as a dog grooming salon – was up for rent. She set up Paw Perfection straight away, and co-worker Michelle Pitcher joined her part time. Paw Perfection is open Monday – Saturday 9-5pm. They also sell accessories including blankets, bowls, brushes, treats and toys. They also run a loyalty card scheme. Paw Perfection, 2a Church St, Amble NE65 0DZ Ring 07850 540 773. You can also find them on Facebook.